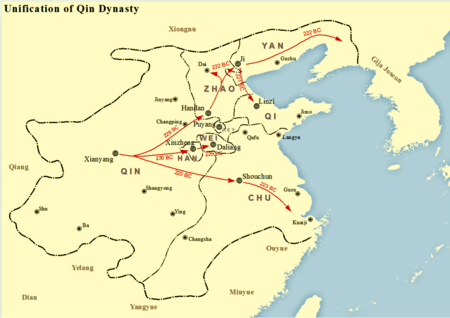 During his reign, his generals greatly expanded the size of the Chinese state: campaigns south of Chu permanently added the Yue lands of Hunan and Guangdong to the Chinese cultural orbit; campaigns in Central Asia conquered the Ordos Loop from the nomad Xiongnu, although eventually it would also lead to their confederation under Modu Chanyu. 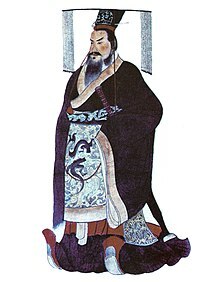 Qin Shi Huang also worked with his minister Li Si to enact major economic and political reforms aimed at the standardization of the diverse practices of the earlier Chinese states. 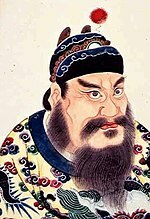 He is traditionally said to have banned and burned many books and executed scholars, though a closer examination renders the account doubtful. 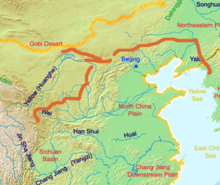 His public works projects included the unification of diverse state walls into a single Great Wall of China and a massive new national road system, as well as the city-sized mausoleum guarded by the life-sized Terracotta Army. 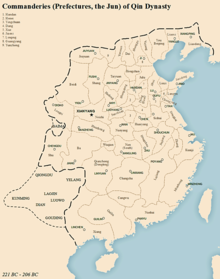 He ruled until his death in 210 BC during his fourth tour of Eastern China.